military statues and picturesque gazebo. The centerpiece of the Battery is White Point Garden, a scenic waterfront park. Of Charleston’s many fine house museums,only the Edmondston-Alston House commands a magnificent view of Charleston Harbor. The striking Greek Revival interior and fascinating collection of family portraits and furniture make this house an unforgettable place to visit. The Charleston Grill, located in the lovely Belmond Charleston Place, is fine dining at its best with a seasonal menu in four categories: Pure, Southern, Cosmopolitan and Lush. Fig’s elevated take on Southern classics are cooked with seasonal ingredients in an upscale bistro setting. 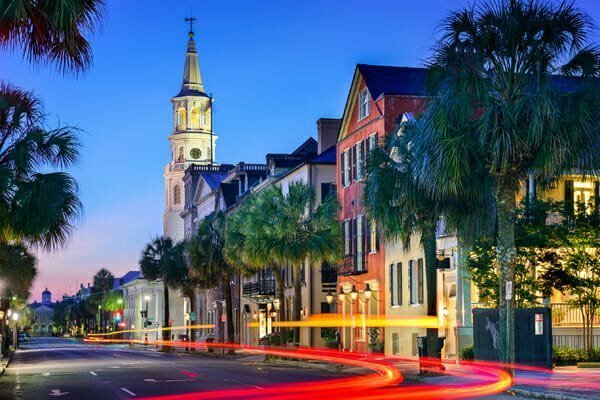 Hominy Grill’s Lowcountry cooking traditions are featured at this Charleston institution located in an old barbershop. Husk boasts an ever-changing menu of locally-sourced Southern dishes served in a Victorian-era home. McCrady’s, housed in an 18th century tavern, is an acclaimed spot for Southern food with a modernist twist. Slightly North of Broad is a fun, Lowcountry bistro in a renovated warehouse space that has been regarded as one of Charleston’s best restaurants for over 20 years. The Aiken-Rhett House Museum Built in the early 1800s, the house has antique furnishings, original wallpaper and stunning bronze chandeliers. 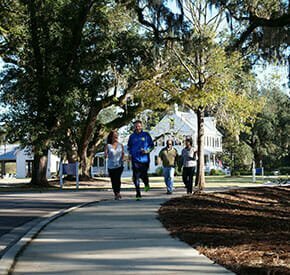 Boone Hall Plantation One of America’s oldest working plantations welcomes visitors with a majestic row of ancient oak tress. Fort Sumter National Monument In the middle of Charleston Harbor, this site is where the Civil War began in 1861. Dock Street Theatre This ornate playhouse, with elegant woodwork and cobblestone courtyard, presents dramas, comedies and musicals. Drayton Hall Built in 1738, Drayton Hall is one of the oldest surviving plantations left in the South. Folly Beach Just 12 miles south of Charleston, this beach offers swimming, surfing, paddle-boarding, kayaking and fishing. South Carolina Aquarium Exhibits highlight South Carolina’s major geographic regions featuring 60 unique habitats. Waterfront Park This eight-acre park faces the harbor and includes a splash fountain, pier, swings and picnic areas.